The 140 seat stylish restaurant has been designed to create its own, unique atmosphere, using natural light and glass to blend contemporary and classic themes. 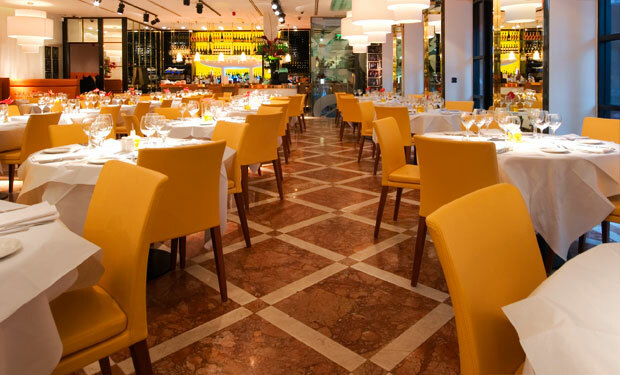 The flooring provided by Goss is a two tone design predominantly featuring the Hermes polished marble accented with border details in the Iris polished marble. This exciting new destination also features a completely one off hand carved stone bar also provided by Goss.